Adults continuously ridicule the idea that video games are serious business. This is to their own detriment in so many different ways. 2018 saw video game sales (software and hardware) in the US grow almost 20% from the previous year to just over $43 billion. And, the industry surrounding competitive gaming (collectively referred to as ‘eSports’), is expected to generate over $1 billion in revenue globally this year, an increase of over 25% from 2018. We’ve come as far as Major League Baseball commissioner Rob Manfred admitting earlier this week that the MLB has been lagging behind in the eSports market compared to its major rivals, and that they are making this a priority in 2019. Fortnite, a battle royale survival game, has been a significant contributor in driving not just video game popularity globally, but also the eSports industry as a whole. In 2018, Fortnite took in close to $2.5 billion in annual revenue, the most of any game in history. Tyler Blevins, a popular Fortnite streamer and video game personality, was featured in a NFL Super Bowl commercial, while sports and entertainment celebrities have been clamouring to connect with gamers and the Fornite brand. 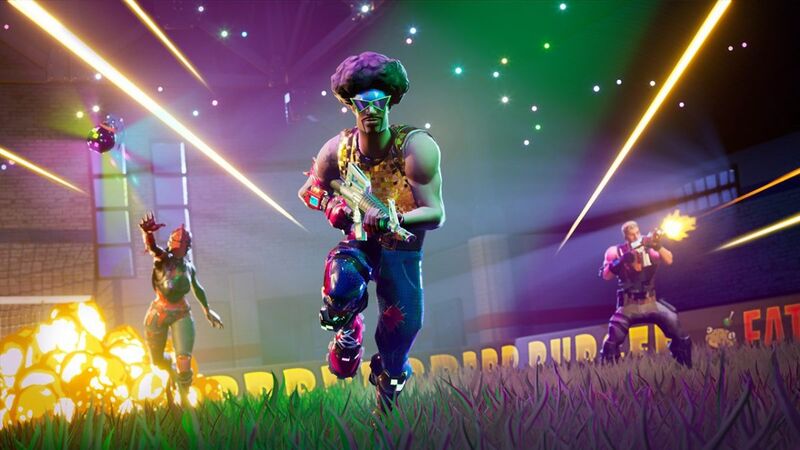 Fortnite’s latest eSports announcement is a drop in the bucket for dollars that will be spent in the coming years in the world’s new past time. Staying on the theme of eSports, it’s no surprise that the biggest global brands are continuing a wholesale march towards entertainment’s newest and most lucrative focal point. Previously, I noted that it wasn’t the NBA, NFL, the Premier League or any other traditional sports league that is poised to experience the most growth. Close to 500 sports industry leaders across the world are looking to eSports as the fastest growing. This past week, we also saw the first eSports company, Super League Gaming, begin trading on the Nasdaq. Major networks like ESPN and Disney have already signed deals with video game makers to broadcast leagues and tournaments. I have shared how State Farm sponsored their first ever eSports athlete, with brands falling over themselves to find sponsorship entry points. In 2018 alone close to $360M was determined to be spent on eSports sponsorships. 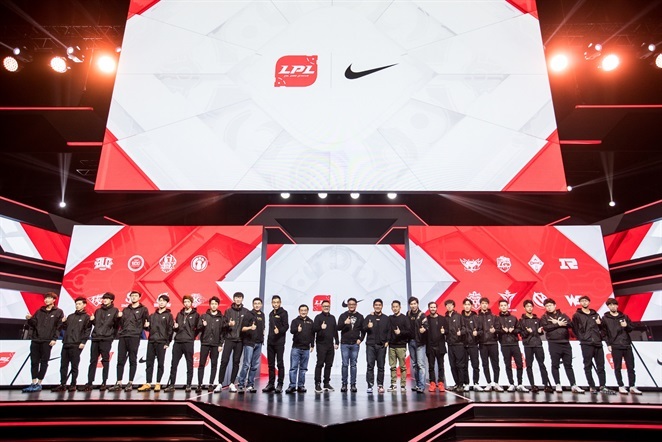 Building on their late 2018 signing of eSports athlete Jian Zihao, Nike, the world’s largest apparel and sports equipment company, has signed on as the official apparel and footwear partner for China’s biggest eSports competition, Tencent and Riot’s League of Legends Pro League. As a quick note, the League of Legends finals in 2018 drew over 200 million viewers. Previously, I talked about preparing for what’s beyond the curve, and the orthogonal impact exponential technologies are having on industries. One of the most mind-boggling shifts we’re witnessing is the slow realization of space tourism becoming a reality beyond the curve. Major players at the moment include Virgin Galactic, Blue Origin and SpaceX. Each company, with its well documented setbacks and missed deadlines in this arena, has continued to push the boundaries of innovation (and finances) to realize the goal of space tourism. Consider that 2001 marked the first private space flight effort with passenger Dennis Tito paying upwards of $20 million to spend a week orbiting the earth over 100 times. More have followed Dennis over time, and the price tag has continued to drop. 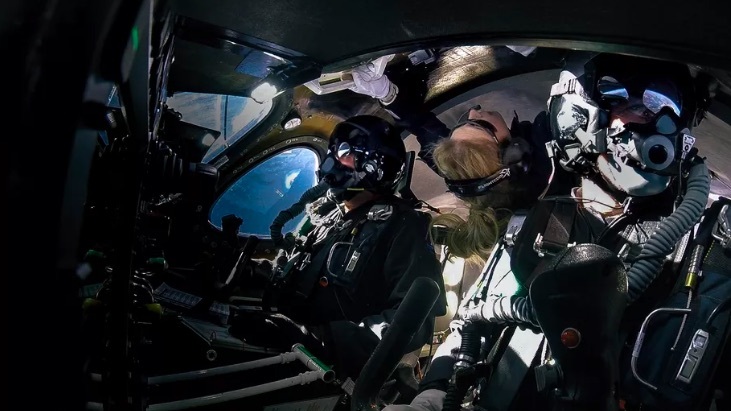 Some of the latest figures show that a ticket on Virgin Galactic’s future trips orbiting the earth will run close to $250 thousand, with costs continuing to decline. Will we see the democratization of space tourism in our lifetimes? Perhaps we’re already seeing it. There is no arguing that such big moonshot ideas generate their fair share of hype. However, to dismiss these advances as perfunctory is myopic and limiting to the realities of change. Each day brings new progress in one of the most exciting industries to have developed in our lifetimes. What insurtech startups will be created to serve insurance needs for this new industry? Which new companies will become the Priceline, Expedia or Kayak of the space tourism industry? What are the new companies that will be formed to create in-space flight entertainment options? Which companies will start-up to capitalize on the fashion and clothing materials that will be worn on the trips? As you can see, there will be numerous ancillary industries that will be created as we look beyond the curve. 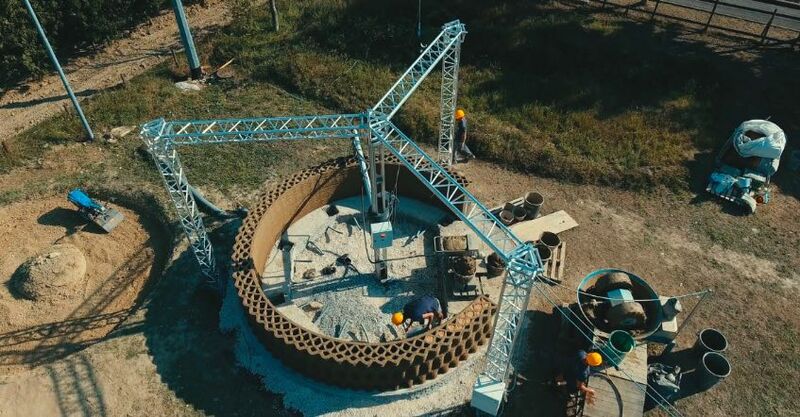 At the intersection of agricultural waste, construction, 3D printing and sustainable architecture. The planet continues to see an increase in the number of people connected online. Between 2022-2025, we will see 8 billion connected. OneWeb and SpaceX are blanketing low-earth orbit with thousands of satellites to make this a reality. Increased connectedness means larger platforms across multiple industries, both public and private, will need to evolve how they operate. Paradigms like cryptonetworks with different ideas of ownership, information sharing, and governance will need to be evaluated to successfully sustain a fully connected world. 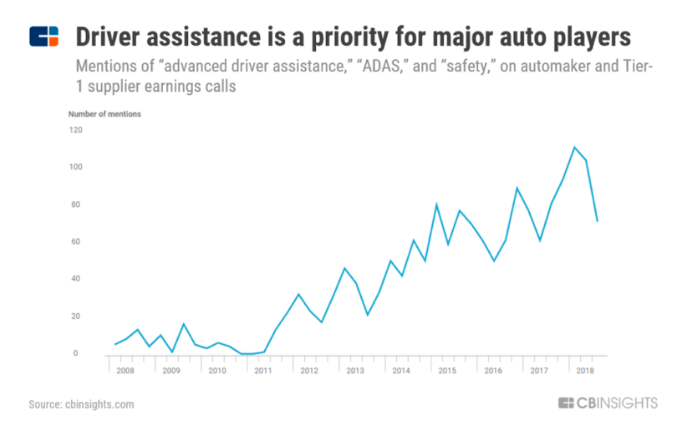 The auto industry’s tech revolution is no secret: GM’s half a billion dollar acquisition of self-driving company Cruise, Ford’s $1 billion investment into Argo AI (and the subsequent self-driving partnership discussions with VW reportedly valued north of $4 billion), Samsung’s $8 billion acquisition of Harman to accelerate automotive and connected technologies, the list is practically endless. In 2019, the industry will see advances in telematics for real-time visibility, smarter industrial robotics, vehicle-to-everything (V2x) technologies for increased communication, and off-course more tech acquisitions. The NBA announced 69 players that were expected for their 2018 draft combine. The NBA’s eSports 2K league saw a 72,000-person strong combine to determine the best of the best. I’ve shared insights about the growth of eSports (e.g., its potential as the next billion dollar industry, Nike’s first eSports sponsorship, Disney/ESPN’s broadcasting deals, etc). 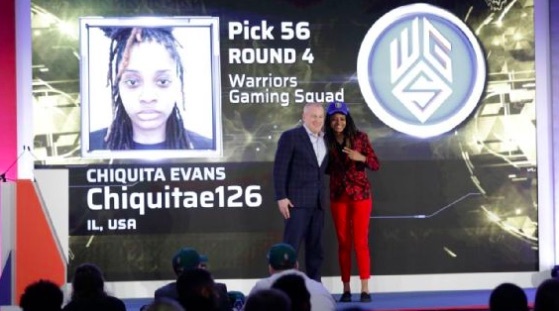 Chiquita Evans holds a special legacy within eSports by becoming the first woman ever drafted to NBA’s 2K league. Representation in eSports continues to progress even at the executive level with former BP and Exxon Mobile exec Ann Hand (now CEO of Super League Gaming), ESL North America CEO Yvette Martinez-Rea, and others. Stablecoins are the latest response to the digitization of money. It’s a type of cryptocurrency whose main characteristic is that it’s collateralized by an underlying asset (most often fiat currency, and more recently, crypto-collateralized). It’s estimated that over 100 stablecoin projects currently exist in the market. As blockchain becomes more mainstream across industries, especially in fintech, we will see larger players and partnerships begin to create waves. After all, almost 80% of financial institutions have fintech partnerships, and global venture capital in fintech topped $30 billion in 2018. The latest numbers from UBS show that the broader space industry as a whole will double in value to over $800 billion in the next decade. As Starship specifically continues to reach unfathomable milestones in preparation for deep space trips, innovations I’ve shared in previous episodes from Virgin Galactic, Jeff Bezo’s Blue Origin and SpaceX, amongst other advancements, are helping to build the industry’s value. Whether it’s proving Starship’s capacity to land back on earth and take off again soon after, or getting closer to the realities of flying from New York to Shanghai in under 40 minutes, the industry is a truly exciting space. Faster speeds and more reliable connections blanketing the world, enabling anyone to have access to the world’s knowledge from any geography, is one of the major hallmarks of the 5G revolution. This also has tremendous implications on how industries will evolve, as 5G will impact trillions of sensors and devices. From manufacturing, energy, and transportation to retail, financial services, and entertainment, every single industry will be accelerated as a result of this connectivity. The South Philadelphia Sports complex is currently home to the city’s biggest sports franchises, and will now also be home to an eSports franchise: the Philadelphia Fusion, who compete in the Overwatch League. I have shared various stories about the immense growth of eSports, most recently Nike’s mega 4-year deal with China’s League of Legends pro league, and ESPN’s creation of the College eSports Championship, to name a few. This is a new industry that will command the attention of investors, entrepreneurs and corporations as it continues on a remarkable trajectory. It’s a double-take moment that seems to have turned the world of credit cards on its head. In partnership with Goldman Sachs and Mastercard, Apple’s branded credit card will live on your phone and exist as a physical card. Additionally, we know that Apple prides itself on user-friendly design (a point which of course can be argued for a lifetime), and the dashboard to give users a view into spending habits, will surely be an additional selling point. In the larger picture we can look to Apple CEO Tim Cook’s words during the reveal: “We think Apple’s uniquely positioned to make the most significant change in the credit card experience in 50 years.” If Apple’s impact in the last 10 years is anything to go by, we’re in for quite the fintech evolution.